The forecast function has been newly implemented in BW-BPS. In standard cases, the previous forecast function used within the bounds of SEM-BPS is no longer available. For compatibility reasons the system still provides the old function if you were using it within SEM-BPS.SAP recommends you use the newly implemented forecast function in BWBPS for new developments. This explicitly enhances the functionality of the old (SEM-BPS) forecast function, even though it does not cover all aspects of it. (For example, you do not obtain forecasts according to Croston’s algorithm). 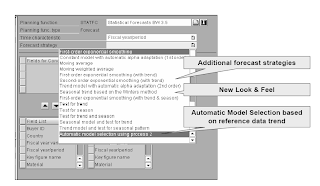 For more information on the old (SEM-BPS) forecast function, see the online help.We can use a forecast procedure in SAP BW to predict the future development of key figures. 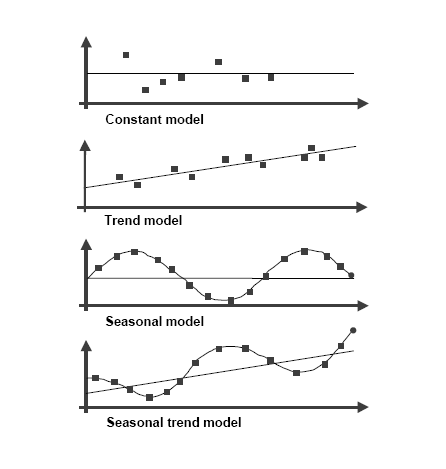 The forecast function uses historic data to calculate expected forecast values with statistical procedures. 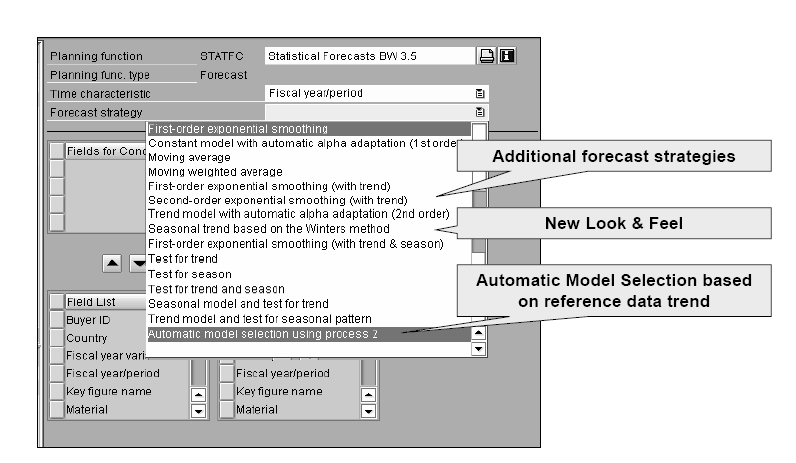 Historic data that can serve as reference data for the forecast must be available.The planning level, in the context of which you create a forecast function, must contain at least one characteristic with a time reference (for example, fiscal year). The forecast period is copied from the selection in the planning package or planning level and therefore must be restricted there. 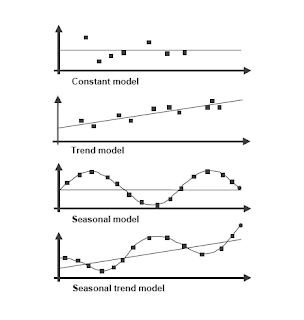 The automatic model selection forecast strategy allows you to let the system select the forecast model that best fits the trend of the historic data. The online help contains very detailed descriptions of all forecasting strategies and extensive explanations of the various parameters that can be set. Define the business scenario for the planning function. Determine the proper level – i.e. the level of aggregation in the Info Cube that is needed for the business scenario. You have to identify the proper characteristics and key figures. Write down some sample records in that level. 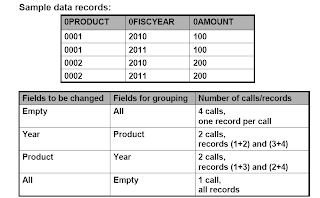 Write down how the data records should look like after executing the planning function. 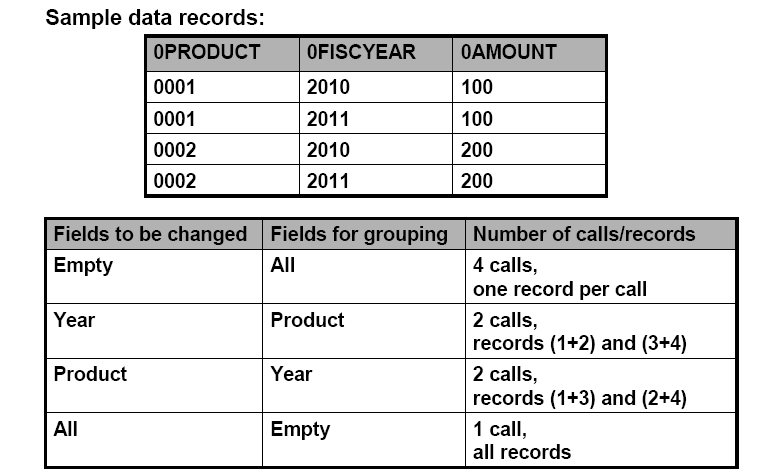 Identify the fields in the data records that are changed or used for calculation by the planning function. These are the “fields to be changed” in the planning function. Identify the type of planning function (predefined type, formula (FOX), exit) and configure the planning function. Before a planning function is executed the selected data is cut into smaller sets of records called subsets.The planning function will be executed several times, once for each subset. The data from the package is grouped by the characteristics that are not in the fields to be changed: within a subset all records have the same characteristic values for those characteristics.Reason for building subsets: makes the coding of planning functions and Fox formulas much easier. Subsets and formulas (FOX): system is doing a "FOREACH" statement for you for every characteristic that is not in the fields to be changed.You cannot rely on the sort order of the subsets! Do not code on the order in a formula or exit function. There is no predefined planning function that does the job.The task cannot be done in one standard planning function but several planning functions/sequence are needed. The customizing of a standard planning function gets to complicated. Most of the time it is faster to have one fox formula doing the job than a number of planning functions.